Here is my first post about the glorious fun at The Ear Inn on March 11, 2018, featuring SUGAR and SOMEBODY STOLE MY GAL, as played by Messrs. Cohen, Chirillo, Robinson, and Kellso. And I present two more performances from the same happy evening, with the affectionate spotlight on Mister Braff. I was at The Ear Inn last Sunday night, delighting in the sounds so generously offered by The EarRegulars. So it seems the most natural thing to share with you the second half of my post on the beauty laid before us on May 15, 2016, and its implications for people devoted to that beautiful phenomenon, jazz as created by living musicians in front of an appreciative audience. In that post, you’ll hear two glorious performances by Jon-Erik Kellso, trumpet; Scott Robinson, tenor saxophone, octavin, bass taragoto; Matt Munisteri, guitar; Greg Cohen, string bass. Here are two more extended musical journeys — with a small travelogue by Scott Robinson about his unusual instruments in the middle. That deserves more than one viewing / hearing. And I agree with Evan. I think that what the EarRegulars (and many other noble strivers) create is life-enhancing. But without getting too didactic, such beauty deserves and needs our tender care, which takes the shape of active participation and personal support. You know how to do that. I could go on, and possibly I already have. Sage advice. 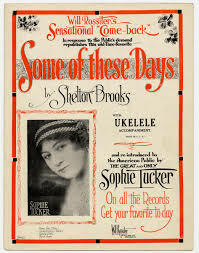 I understand the deep longing to hear one more note of Bix, of Bird, of Billie — to time-travel back to hear Louis in 1929 or Blanton with Jeter-Pillars. But while some are busily dreaming of such things (I think of Miniver Cheevy with his collection of Black Swan acetates), the present is both glowing and going. As in going away. So I am always urging the people who love this art form to enjoy what is happening in the present moment rather than licking the dust off the statues. A hundred years from today, should we survive as a species, I suspect that cultural historians will be writing about the Golden Age of the early twenty-first century. And if they aren’t, they will be ignoring some irreplaceably precious evidence. Here are two glorious examples (with two more to come) of the superb art that is happening now. The artists are Matt Munisteri, guitar; Scott Robinson, tenor saxophone and unusual reeds; Jon-Erik Kellso, trumpet; Greg Cohen, string bass — recorded just this month at the Soho Savoy, The Ear Inn (326 Spring Street, New York City) at one of the regular Sunday-night epiphanies from about eight to about eleven PM. Yes, we could all sit at home and play our records. But beauty, completely satisfying, is happening all around us. No fancy arrangements, just beautiful solos and ensemble playing. Quite amazing, I think, and I’ve been following these four musicians for more than a decade now. This is just a small sample of what characteristically takes place at the Allegheny Jazz Party, a quiet spectacular of a weekend in Cleveland, Ohio. To have this experience for yourself, you might want to visit here to find out about the Party, taking place this September 10-13, 2015. And . . . . Jon and Matt Munisteri and a cast of wonderful characters have just released their second CD as “The EarRegulars”: the first also features Scott Robinson and Greg Cohen; the latest one (on Jazzology Records) features Evan Christopher and Kerry Lewis. Delightful music. WORTH THE WAIT, WITH JOYOUS SURPRISES: THE EarRegulars’ FIRST CD! The exclamation point in my title — something I use rarely — should tell you how I feel about a major Current Event. 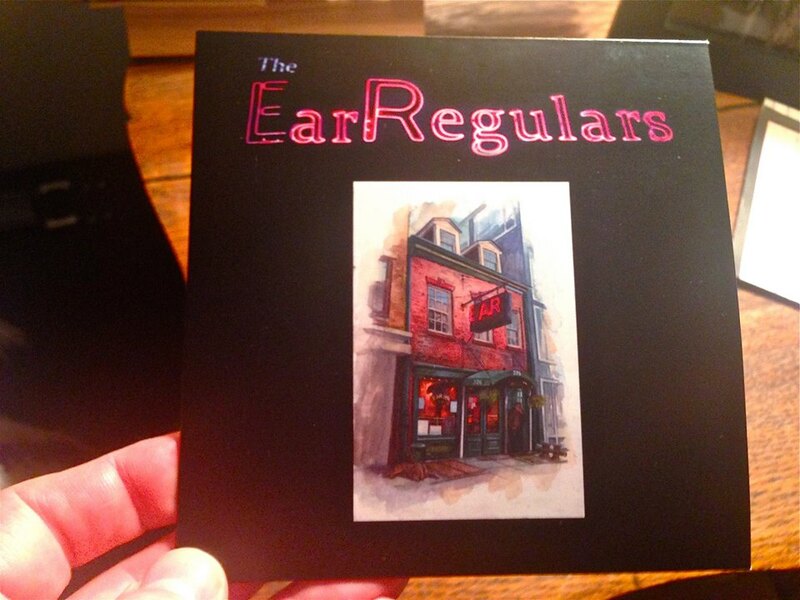 The EarRegulars have finally released a CD, and it’s a beauty. 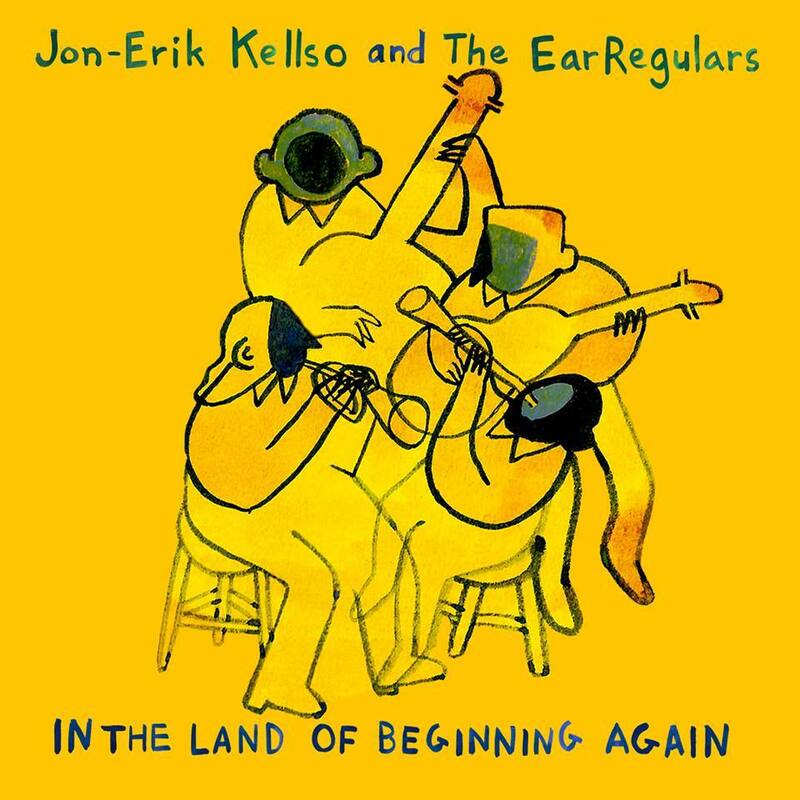 For this disc, the ER are Jon-Erik Kellso, trumpet; Scott Robinson, tenor saxophone, tárogató, cornet; Matt Munisteri, guitar (vocal on BABY); Greg Cohen, string bass. The session was recorded (beautifully) by Marco Birkner in Berlin, Germany, on March 23, 2014. The disc — produced by Jon-Erik for his own gen-ERIK Records — is a delightfully minimalist production: artwork by Stephen Gardner on the cover, and a photograph of the EarRegulars in concert at the Bohém Ragtime and Jazz Festival in Kecskemét, Hungary, taken by József Hervai. No rhapsodic / analytical liner notes (which I would love to have written), no credits for hair stylist and divine inspiration. Just the music, about an hour’s worth: DO YOU EVER THINK OF ME? / AUNT HAGAR’S BLUES / GOOD OLD NEW YORK / THANKS A MILLION / I GOTTA RIGHT TO SING THE BLUES / I’M SORRY I MADE YOU CRY / BABY, WON’T YOU PLEASE COME HOME? / SOME OF THESE DAYS. Fifty-five minutes and seventeen seconds of superb collective improvisation and lovely melodic playing by one of the most satisfying bands we’ll ever hear. Head arrangements rather than transcriptions, joy rather than routines. One of the great pleasures of living in New York, for me, has been the ability to get regular infusions of the EarRegulars at the Ear Inn (326 Spring Street, Soho) on Sunday nights. I’ve been there as often as possible since the group came together in the summer of 2007 — which makes it a very durable group by this century’s standards — enjoying myself tremendously. Although I couldn’t swear to the ideological bent of the group, it is a truly democratic enterprise, not two horns out front with supportive rhythm players. No, the lead is always passed around from horns to guitar to string bass, and a lovely momentum is always sustained by riffs, backgrounds, trading choruses, swapping melody and improvised counterpoint. An EarRegular performance — live or on disc — is like a small hip concerto, lyrical and hot, with many surprises, and the results are always both surprising and satisfying. 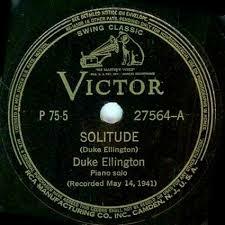 If you require famous antecedents, think of the Bechet-Spanier Big Four, the Braff-Barnes Quartet, Soprano Summit, the grouping of Buck Clayton, Lester Young, Eddie Durham, Walter Page . . . but the EarRegulars have been around to be their own standard of excellence, their video presence spread around the world. On this disc, they are singularly inspired. 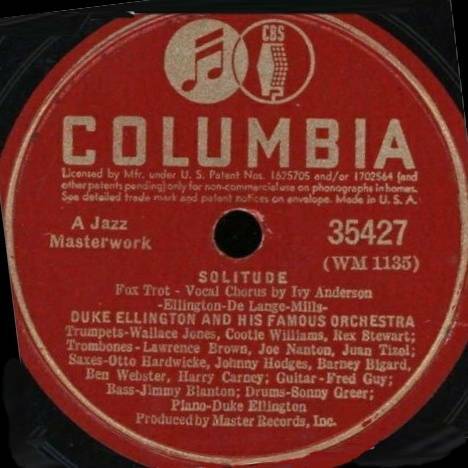 Often, a group that plays spectacularly in an informal setting finds the air of the recording studio a little chilly, and one can hear it in the performances: what was intense and natural in person becomes slightly less comfortable in a room full of microphones, someplace unnaturally still. It didn’t happen for this recording. I think that the wonderful exploratory spirit (“Let’s take some chances; let’s have fun; let’s not plan too much!”) that sustains Jon-Erik, Matt, Scott, and Greg was in the air. I’ve been hesitant to write about this disc for fear of descending into apparent hyperbole, so I will say only this. I’ve played it more than a dozen times, and each time I find myself smiling and even a little startled — “Wow, what are they doing now!” I don’t think I will ever grow tired of it, and it far surpasses my expectations. And I’ve been waiting for this disc almost since the group’s inception — most pleasures that have seven years of anticipation behind them are bound to be slightly disappointing, but not this session. How can you get one or more of these discs? Don’t push; don’t crowd, please. Ideally, one could come to The Ear Inn on a Sunday night and greet Mr. Kellso before or after the music starts with a handful of the appropriate currency. He and Mr. Munisteri might even autograph one for you. The price for a copy in person would be $15 USD. But if that’s inconvenient, there’s an online rescue: a reliable eBay seller (I can vouch for him myself) has them here — with postage, the total is $15.97 per disc. A small price to pay for such pleasure. Of course, you might like to visit The EarRegulars’ Facebook page. But nothing will equal the pleasures of this particular disc, I assure you. Speaking of pleasure, though, and The EarRegulars have a new YouTube Channel to go with the new video and new album: find it here.